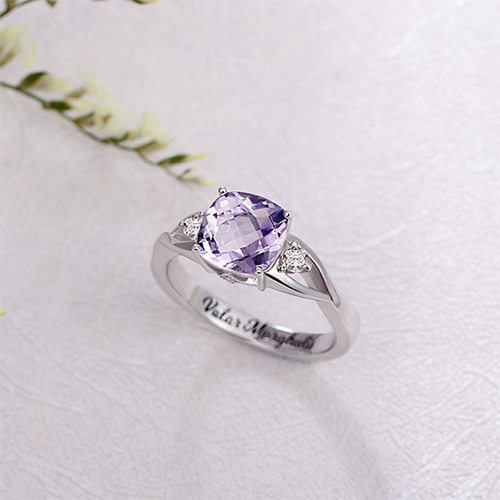 Featuring a lavish 8 mm millennium cut cubic zirconia stone, this shining ring is an eye-capturing masterpiece! The center stone is flanked on both sides by tiny CZs to accentuate its glimmer and elegance. 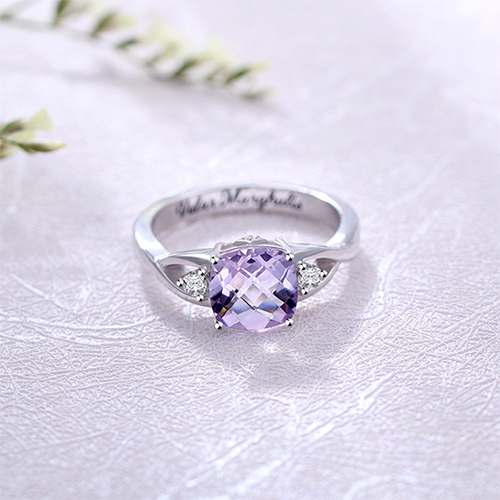 Finely handcrafted of 925 sterling silver. 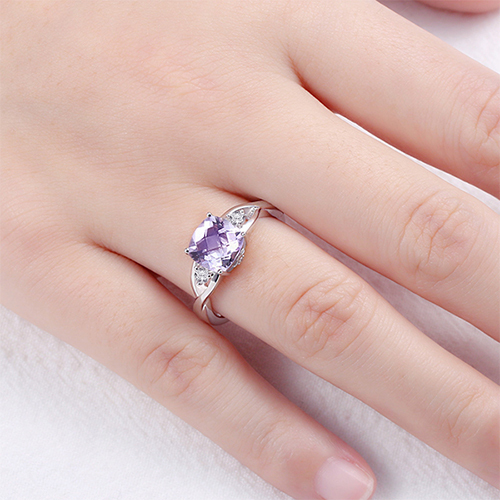 This charming ring can be customized with any spcial words and short sentence up to 16 characters inside the ring band . 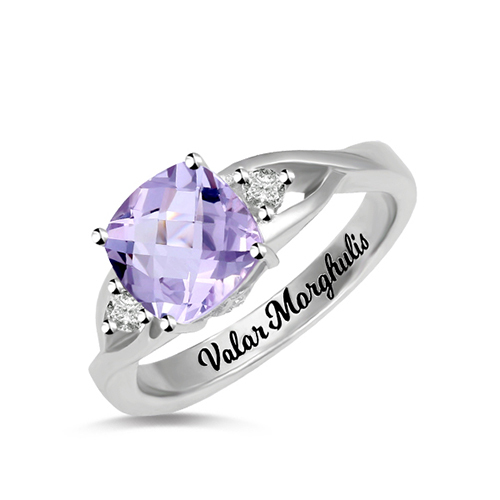 You can also choice the birthstone color as your need, create a unusual gift for your loved one. Whether you are looking for an engagement ring or a special gift, this item is a great choice. 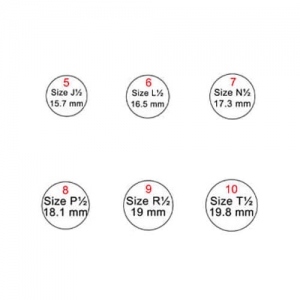 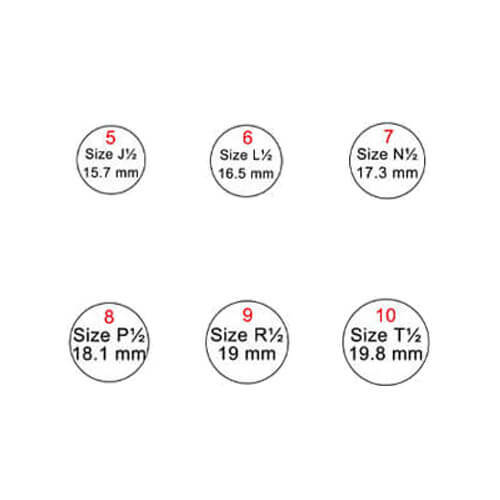 It is available for ring sizes 6 through 10.